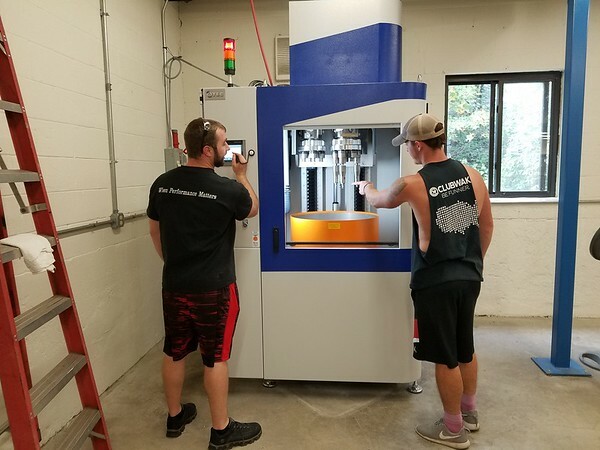 BERLIN - Last week, Supermill LLC employees were learning how to operate a brand new OTEC machine used for cutting edge and honing purposes. Supermill is located at 56 Willow Brook Drive. The company runs in a 20,000-square-foot facility. Hale started Supermill in 1990 from his garage in Meriden. His focus was on the service industry and he had two machines at the time. The business moved to Berlin in 2000 after working from a small building in Meriden for almost 10 years, Hale said. When the business moved to Berlin, it had four employees. Supermill makes industrial cutting tools, specifically high performance carbide end mills. The company’s series of tools include ultra performance, high performance and all purpose tools. These tools are used in manufacturing around the country in the aerospace, firearms, automotive and medical industries. Supermill serves large and small customers. Some of the larger ones are Barnes Aerospace and GKN Aerospace. The company also works with local manufacturers such as Admill Machine, Forrest Machine, TOMZ Corp. and MSC Industrial Supply. Supermill’s products can be found in New Britain, Berlin, northeast Connecticut, Texas, California and Florida. Hale said the high level of quality is what makes their products stand out. 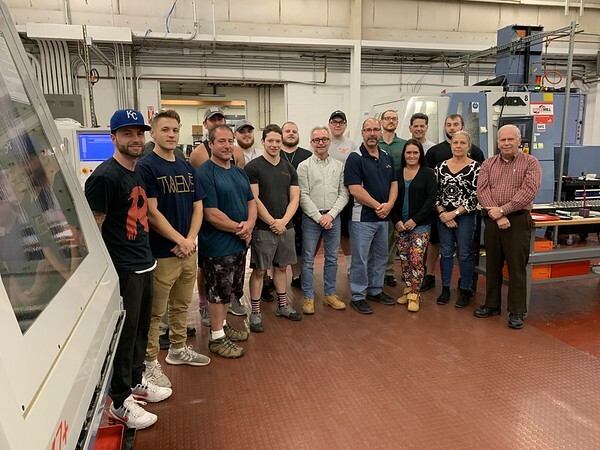 Machinists, engineers, and inside and outside sales representatives are part of the 20-person team the company employs. The new equipment at the facility includes an ANCA, which serves as a Computer Numerical Control (CNC) grinding machine. The company also had a new Doosan machine, which is used to test the tools made in house; and a new Walter, an inspection machine with a high power camera. Supermill has about 13 machines with robots and automation technology. The company has current openings in the shipping and receiving department and is also looking for machine operators. To learn more about Supermill visit https://supermill.com/ or call 860-828-9703. Posted in The Bristol Press, General Business, Manufacturing on Monday, 29 October 2018 19:55. Updated: Monday, 29 October 2018 19:57.